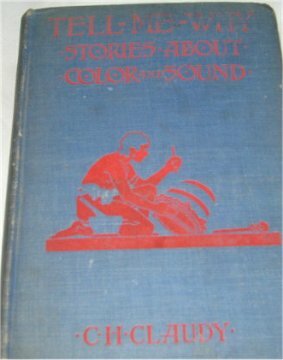 The Story of Inyo ~ 1933 ~ 430 pages ~ Th eChalfant family were early pioneers who settled Inyo County. The Story of Inyo presents a comprehensive view of the history and geology of the Owens Valley, beginning with its first inhabitants, and extending through the conflict with the City of Los Angeles. 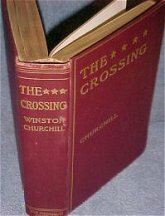 It is written from the perspective of one of the prominent citizens of the Valley during its formative years, newspaperman and author W.A. Chalfant. 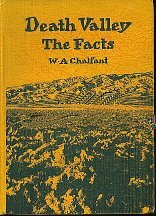 When you pick up this book, not only do you get some very insteresting facts about the Owens Valley, you also get to read them in a writing style that was prevalent at the time that the history was being made. Writers on Death Valley, the Tomesha (ground afire) of one of the Indian tribes, have drawn heavily on the vocabulary of descriptive terms. They tell us the Valley is bizarre, fantastic, weird, mysterious, fascinating, won­derful, grim, forbidding, sinister, serene, even charming. We read of its flaming sun in a blazing sky, its glaring landscapes, its shadowy recesses, and its silent, brooding night with stars in velvet depths. Each writer has seen there the qualities he anticipated and has found inspira­tion for his most graphic adjectives. It is a paradoxical land, they say, knowing alike the waves of shimmering heat and the balmy haze of delightful, dreamy Indian sum­mer. On the one hand lies salt a thousand feet deep; on the other, during the right fortnight, flowers tinge the gray sands. Lives have surrendered to thirst, yet it is better watered than most deserts, wild fowl make it a way station in their migrations, and floods strip the covering from the mountain ribs. There has been much of such description, to the neglect of prosaic details. The matter-of-fact in­quirer for knowledge has found it, if at all, in dilute form. This volume attempts to supply information, without emulating the prose-poets. Facts and serious conclusions herein are worthy of credence not because of where they are found so much as because they are based on pains­taking investigation. Documents and reports and the find­ings of skilled specialists fortify gleanings from other reliable sources as well as personal observations in trips covering the Valley practically from end to end and from side to side. Grateful acknowledgment is made for generous co­operation. Unlimited selection has been permitted from the fine collections of pictures taken by Mr. Burton Frasher, of Pomona, California, and Mr. Stephen Willard, of Palm Springs, California; and Mr. Frasher also secured special views while with the author and others on a Death Valley expedition. The illustrations frequently tell the story as words cannot. The kindness of Professor W. L. Jepson, California’s foremost botanist, in reading and correcting the manu­script chapter on his special study gives it an authenticity which readers cannot fail to appreciate. Assistance by Mr. Robert Kessler, of Los Angeles, in botanical information, is appreciated.Notes’ on the desert sheep are from information sup­plied by Mr. E. H. Ober, ranking as one of the highest authorities on that subject.Publications of the Weather Bureau, the Department of Agriculture, and the War Department have been drawn upon freely, some of the out-of-print material being cour­teously supplied from headquarters. The resources of the California State Library and of the library of the Nevada State University have contributed items, and many indi­viduals have responded most kindly to various requests. Not least among those who have helped this undertak­ing is Mr. W. A. Crosby, Automobile Club of Southern California representative in Bishop, California. His genial companionship and resourcefulness have made pleasant the weary miles of repeated desert journeys. These chapters unavoidably cross some of the trails followed in The Story of Inyo (Chicago, 1922). Further attention to Death Valley was not contemplated when that book was prepared, otherwise only the historical fea­tures would have been included in it. However, duplication of matter has been avoided so far as may be, and the his­torical details in this volume are more accurate and more complete. W. (Bill) A. Chalfant, assumed the leadership of the newspapers when his father was elected county assessor in 1887. W.A. 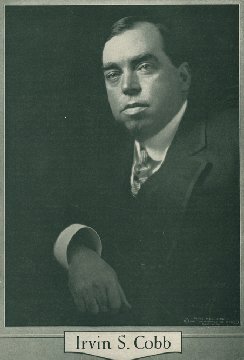 Chalfant oversaw the newspapers until 1942. W.A. (Bill) Chalfant began his newspaper career at age 8 when he started the Juvenile Weekly printed on a small press given him by his father. Only death - at age 75 brought his editing career to an end. 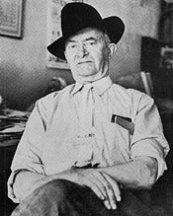 Young Chalfant grew up in a printshop, first at Virginia City's famed Territorial Enterprise where his father worked and then in his beloved Inyo County where he and his father founded the Inyo Register in 1885. Chalfant took over the editor's chair in 1887 and soon had a lifetime battle on his hands: to keep Los Angeles from turning the Owens Valley into a desert by draining its water Chalfant and his paper fought valiantly - both the marauders from Los Angeles headed by Chief Engineer William Mulholland of the Los Angeles-Owens River Aqueduct and "traitors" within the area who gave in to the city's pressure and sold out to Mulholland's agents. Stories, editorials, cartoons - all filled the columns of the Register as the fight continued, but a different kind of story, reports not about the present and future but about the past - began to appear in 1904. Chalfant had become concerned about preservation of Inyo County's history before the 1870s when written records began to be kept, and he became the selfappointed chronicler of the county's robust pioneer years, interviewing those who had been part of its turbulent history and searching newspaper files, official government reports, survey field notes, state legislative journals, county government records, personal archives and books for confirmation and amplification of those accounts. 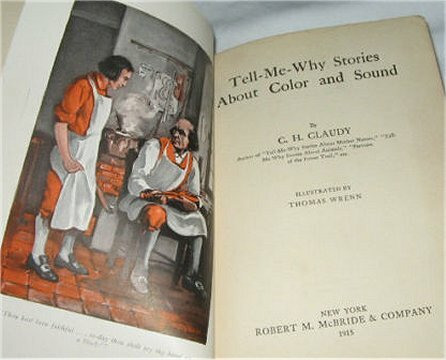 Chalfant's research was the basis of stories and columns in his paper until the week of his death. They began appearing in book form in 1921 with The Story of Inyo. The Story of Inyo was followed by Outposts of Civilization in 1928; Death Valley, The Facts in 1930; Tales of the Pioneers in 1942 and Gold, Guns and Ghosttowns in 1947. Chalfant was a familiar and respected figure in Bishop, his paper admired for its sound judgment and courageous opinions. A quiet, even reserved man, he thought his job was to report public affairs, not participate in them. He had firm opinions on many subjects, but those he expressed in editorial columns, not in public forums. Even when he sold the paper in 1942, he continued both on the masthead and in the editorial office. To honor him, the new owners took the name of Chalfant Press for their three papers. 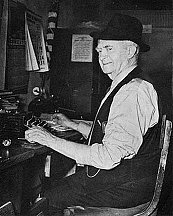 He remained editor emeritus of The Inyo Register until his death on Nov. 5, 1945. W.A. 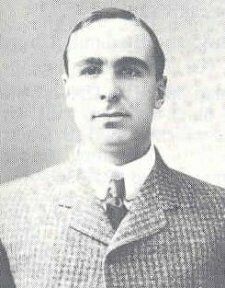 Chalfant remains one of the most beloved journalist figures of the early 20th Century, having been fondly named the "Dean Of the California Newspaper Editors." His book The Story of Inyo chronicles the history of Inyo County from the original Piute inhibitants up through the 1920s. 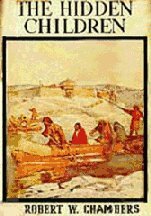 Its authentic record of pioneering also includes Piute life, customs and legends in addition to a brief gelogical record of the area. It is truely "a must" for the student of California history. The Chalfants' name lives in other monuments to their contribution to Inyo County. Chalfant Valley in the shadow of the 13,000-foot White Mountain Range is famous for its Indian petroglyphs. The Slayer of Souls, concerns a young American girl raised by the Yezidee-Mongols, a murderous cult of killers with psychic power, who want to rule the world. Because of her training in the East and her own powers, she is all that stands in the way of their evil plans. With the help of a standard issue dashing viral hero, the state department, and a female friend from her temple days they face danger and she falls in love with the hero. Chambers before 1900 was a force to be reckoned with in weird literature. By the time of this book his sugary romance style had corroded his formidable dark prose but there is still power here. This is his standard romance with all kinds of weird things thrown in. Every time you turn around some Mongol is stealing the bed sheets for his death shroud and going off to die. 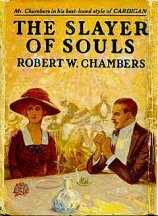 This is not The King in Yellow but it is still a fun book and well worth the time if for no other reason then Robert W. Chambers wrote it. H. P. Lovecraft loved this book, maybe because he saw Chambers returning to his roots. Great ideas, good prose, written too fast most likely for a magazine sale. Could have used with a re-write. Film synopsis: At the beginning of World War I, when the Germans invade Belgium, Kervyn Guild, an American of Belgian descent, is captured with a group of refugees. He is threatened with execution, but the commander, General Von Reiter (Arthur Donaldson), offers to let him and the refugees go free if he goes to London and fetches his fiancée, a Swiss girl named Karen Girard (Corinne Griffith ). For the sake of the others, he agrees. But when he finds the girl and brings her across the channel, he realizes that she has some coded documents. Before reaching their destination, not only has Guild decoded the messages and handed them over to the British, he has also convinced Karen that she does not really want to align herself with the Germans. 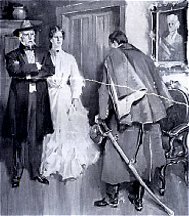 In an attempt to protect the girl, Guild gets into a duel with Von Reiter and stabs him. 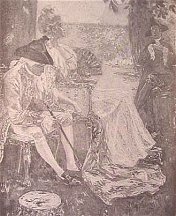 The dying General forgives him and gives him and Karen safe passage to Antwerp. This picture was very popular author of the day. The Vestiges of Creation: Abraham Lincoln admired The Vestiges of Creation by Robert Chambers, which he read in the 1840s. 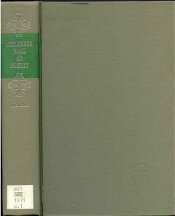 This book argues that geological and biological evolution have occurred, that the earth is the product of a gaseous nebula, that life first occurred through a natural process, and that present creatures evolved from previous ones, all by processes dictated by scientific principles and laws. 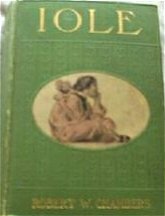 Iole 1905 D. Appleton & Co.
Cardigan: 1901 Harper Bros: Revolutionary War in Broadalbin, hero is the ward of Sir William Johnson. He is sent to stop an Indian war planned by Walter Buttler who wants to turn the Indians against the rebels. Ashes of Empire: 1898 the middle book written in a Triad referencing the Franco-Prussian War. 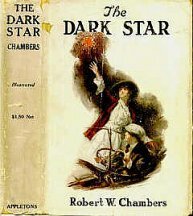 The cover page states "The Historical Romances of Robert W. Chambers"
Film Synopsis: This picture, adapted from a Robert W. Chambers novel bearing the same title, involves an old Indian custom: alien children are "hidden" with a friendly tribe, and when they reach maturity, they are brought back to form new families amongst the old tribe. 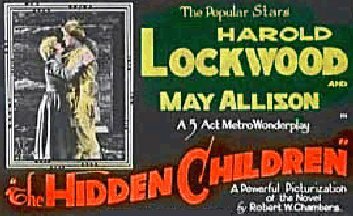 Euan Loskiel (Harold Lockwood) and Lois de Contrecoeur (May Allison ) are two such "hidden children." In the midst of trouble between the Mohicans, the Iroquois and the White Man, Euan and Lois fall in love. Lois wants to find her mother, and with Euan's protection, she does, in a dramatic climax that involves a fight between Euan and Amochol, an Indian chief (George MacDaniel). Beautiful location photography helped draw interest to this rather confusing story. 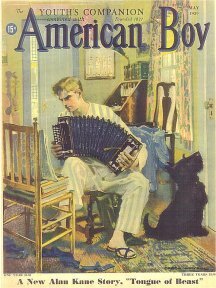 America or the Sacrifice: 1924 G&D Illustrated with Scenes from the Motion Picture. Photoplay edition issued to coincide with the release of the D.W. Griffith directed film epic about the American Revolutionary War starring Neil Hamilton and Carol Dempster. As early as 1908 Griffith had considered the possibility of filming his unused playscript of War. However, it was not until 1923 that he finally returned to this account of the American War of Independence. As usual, Griffith took a romantic story as the central focus, around which the historic scenes (Paul Revere's ride, the Battle of Bunker Hill, George Washington at Valley Forge) were played out. 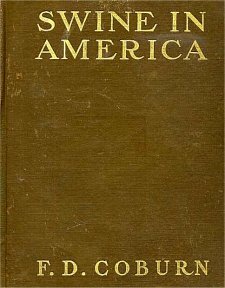 America was released in February 1924 to be met rather warily by the critics and was not a success with the public. 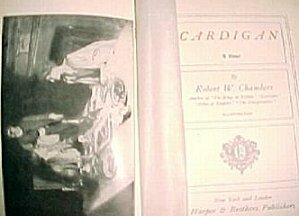 Robert W. Chambers (b.26 May, 1865 Brooklyn, NY- d.16 December 1933 NY,NY) .American novelist and short-story writer, the son of William Chambers and Caroline (Broughton) Chambers.As a writer he exhibited his ability to handle crowds, invent exciting incident, and exercise his painter’s dexterity in painting vivid landscapes.In his first twenty years as a popular writer Chambers produced forty-five volumes, “veering in accordance with the breeze of popular demand.” The period of 1915-1919 had its quota of war novels. 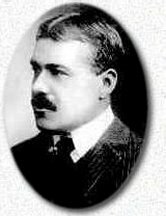 In 1924 he returned to historical fiction, with the same easy fluency but small critical acclaim, although magazines continued to pay high prices for his serials. At a New York office, whose address was unknown even to his family, he wrote from ten to six. Fishing and hunting were his relaxations. The novelist was a well set-up man, with square shoulders and chin and a gray mustache. His manner was cordial and genial. On July 12, 1898, he married Elsa Vaughn Moller. A son, Robert Husted Chambers, attained some success as a writer. 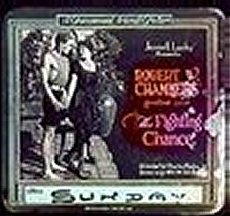 Chambers had 14 of his works turned into movies in his lifetime. One of his books, The Common Law, was filmed 3 times. 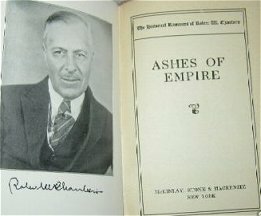 Chambers has always traveled with the rich and powerful, we see that in his books. 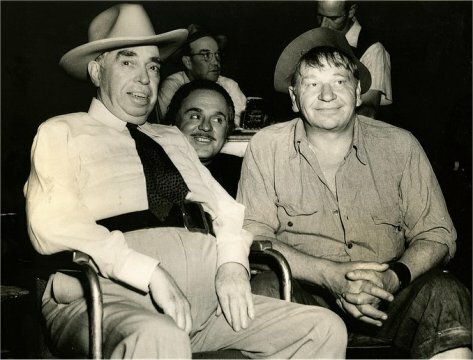 That he knew Rupert Hughes, the uncle of Howard Hughes, is a fact. 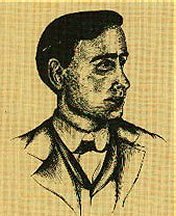 Rupert Hughes wrote the 1938 introduction to the re-issue of The King in Yellow. He died in 1933 following abdominal surgery. Out of the Crucible, being the romantic story of the Witwatersrand goldfields; and of the great city which rose in their midst. 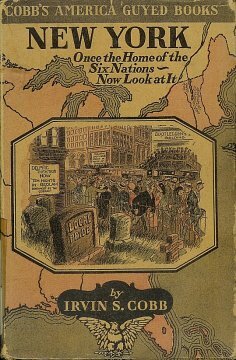 And an epilogue, 1929-48: The incredible city, by Alexander CampbelL and Hedley Arthur Chilvers. 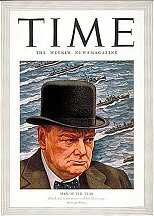 In the beginning decades of the 20th Century, Churchill was the most famous novelist in America. 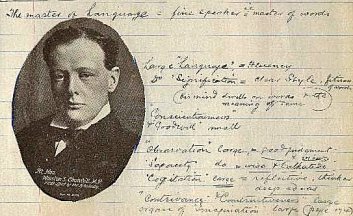 For a while, the English Winston Churchill began using his middle name Spencer to differentiate himself, and the two corresponded with each other about the confusion. 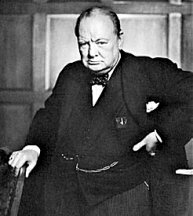 Sir Winston later suggested to the American Churchill (who was also a New Hampshire state legislator, and one-time candidate for Governor of that state) that he run for President, perhaps to confuse historians even more. 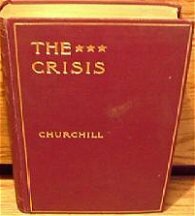 The Crisis remained in print until the 1970's, but (American) Churchill is largely an unread author today. Only one major biography exists of this once-giant literary figure. Educated at Smith Academy and the U.S. Naval Academy at Annapolis, Churchill served briefly as an editor of the Army and Navy Journal before becoming the managing editor of Cosmopolitan magazine in 1895. 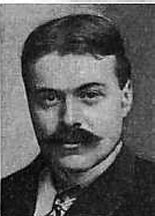 In 1898, he published his first novel, The Celebrity which met with a good deal of success. 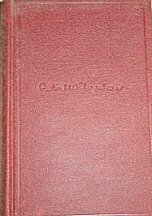 This was followed in 1899 by Richard Carvell, an historical novel of Revolutionary Maryland, which was immensely popular, selling nearly a million copies. 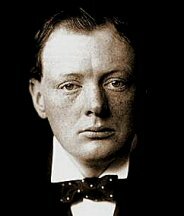 In 1900, Churchill was contacted by the English Winston Churchill, who promised to use his middle name, Spencer, in his own writings in order to avoid the confusion that was beginning to arise between the two. In 1901, the two actually met in Boston. In 1901, he published The Crisis and became one of the widest read authors in America. He moved to New Hampshire in 1899 and became involved in politics, running successfully for the New Hampshire legislature in 1903. In 1911, he ran for Governor of New Hampshire on Theodore Roosevelt's Progressive Party ticket but was defeated. 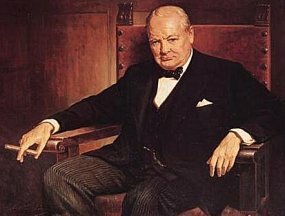 When Churchill began to shift his focus from historical novels to those with social and religious elements, his popularity waned. 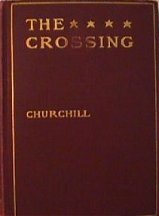 Churchill published his final novel, The Dwelling-Place of Light in 1917. After that he produced a number of non-fiction works. 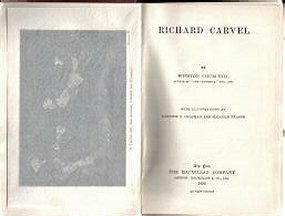 His other works included The Crossing (1904), Coniston (1906), Mr. Crewe's Career (1908), A Modern Chronicle (1910), The Inside of the Cup (1913), A Far Country (1915), A Traveller in War-Time (1918) and The Uncharted Way (1940). 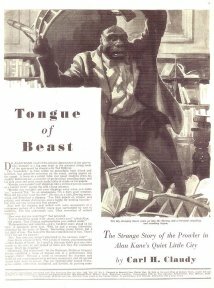 AMERICAN BOY (May 1939) Carl H. Claudy Science Fiction short story "Tongue of Beast." On September 17, 1908, Orville Wright crashed his airplane. This happened while he was showing the airplane to the army. An army officer was a passenger in the powered airplane. His name was Lt. Thomas Selfridge. 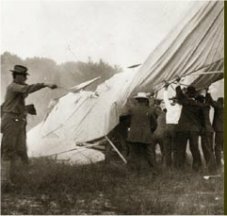 Selfridge was the first person to be killed in an airplane crash. Orville was badly hurt. 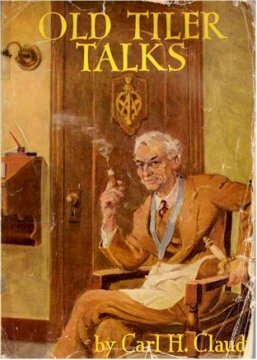 Carl Claudy was one of America's most noteworthy Masonic authors. Born Jan. 13, 1879 in Washington, D.C., in 1898 the adventuresome 19-year-old youth was a prospector and pioneer in Alaska. He was raised in Harmony Lodge No. 17, Washington, D.C., in 1908, serving as Master in 1932 and Grand Master of the Grand Lodge of the District of Columbia in 1943. 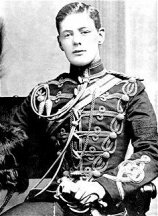 A 33º, he was active in both the Scottish and York Rites. Claudy was the Executive Secretary of the Masonic Service Association from 1929 to his passing on May 27, 1957. Respectfully dedicated to two classes: Those who have already been operated on Those who have not yet been operated on. 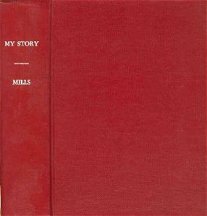 "Now that the last belated bill for services professionally rendered has been properly paid and properly receipted; now that the memory of the event, like the mark of the stitches, has faded from a vivid red to a becoming pink shade; now that I pass a display of adhesive tape in a drug-store window without flinching - I sit me down to write a little piece about a certain matter - a small thing, but mine own - to wit, That Operation. For years I had noticed that persons who underwent pruning or remodelling at the hands of a duly qualified surgeon, and survived, like to talk about it afterward..". Quote on Alcohol: A sudden violent jolt of it has been known to stop the victim's watch, snap his suspenders and crack his glass eye right across. Swine in America; A Text-book for the Breeder, Feeder & Student. 1916 ~ New York: Orange Judd Co.
F D. COBURN was born in Cold Spring township, Jefferson county, Wisconsin, May 7, 1846. His father was Ephriam W. Coburn, and his mother Mary Jane Mulks. At eighteen he was corporal in company F, one hundred and thirty-fifth regiment, Illinois volunteer infantry, and promoted from private to sergeant-major of the sixty-second regiment, Illinois volunteer infantry, veterans. Arriving in Franklin county, Kansas, February, 1867, he was a farm laborer and farmer there until July, 1880, when invited to a position in the office of the State Board of Agriculture under Secretary J. K. Hudson. 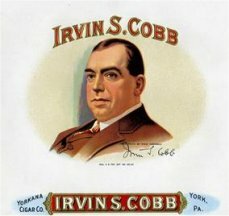 In 1869 he was married to Lou Jenkins. Mr. Coburn was unanimously elected secretary of the Kansas State Board of Agriculture, vice J. K. Hudson, resigned, serving until January 11, 1882, when he was displaced, on a legal technicality, for William Sims. 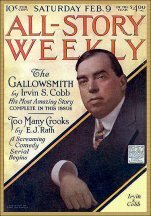 He was president of the Indicator Publishing Company, of Kansas City, Mo., and editor-in-chief of the Live-stock Indicator for five and a half years, 1882 to 1887, and later was editorial writer on the Kansas City Gazette with George W. Martin. 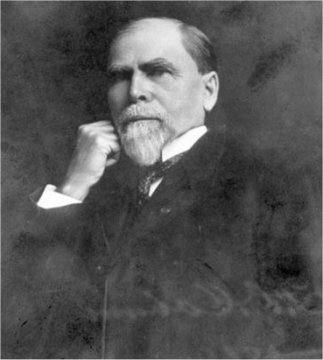 He has prepared and published, as secretary, some thirty-odd volumes of reports of the Kansas State Board of Agriculture, and has contributed much to various periodicals upon agricultural and kindred topics, and is one of the editors of Country Life in America.Author of "Swine Husbandry," 1877; "Alfalfa," 1901; "The Book of Alfalfa," 1907; "Swine in America," 1909; also many volumes of reports of the Kansas Board of Agriculture on special subjects.